Greetings! I hope you are all well and enjoying the onset of the winter season. In this newsletter I want to highlight a few pages on my website that some of you may not be aware of. 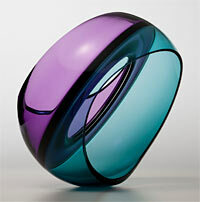 These pages include my Glass Art Blog, Secondary Market page, Installations page and Articles page. I will also include some images of recent additions to www.holstengalleries.com. I hope you enjoy this message and wish you all happy and healthy holidays! "I don’t play music, I play glass. It is part of my culture, my brain, my blood." 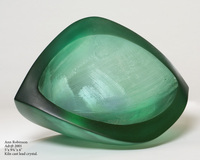 The Holsten Galleries blog has as its subtitle “The World of Contemporary Glass Sculpture.” It features many short entries of various topics. Typically the focus is on one particular artist and includes an image of a piece which is either typical, new or of special interest. The blog was launched in March, 2009. I have recently resumed blogging on a regular basis. 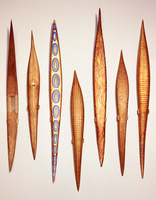 From time to time, I have access to historical pieces which are available for purchase. Many but not all of the works featured on this page are by artists whom I don’t represent on a regular basis. I include a few select works from this page in the left column of this newsletter and encourage you to check this page out from time to time. Many of the glass artists I represent create large scale installations for either private homes or public spaces. 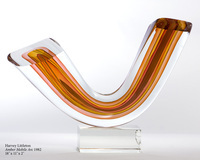 Among these artists are Dale Chihuly, Dan Dailey, Tom Patti and Lino Tagliapietra. I include a couple of installations at left and encourage you to visit the installations page. Finally, there has been a great deal of interest of late in the works of Nancy Callan and John Kiley. 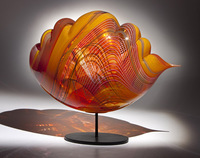 Included here are the lastest creations by these two Seattle glass artists. Thank you for your continued interest in Holsten Galleries and, as always, feel free to contact me by email or phone with any questions or interests.